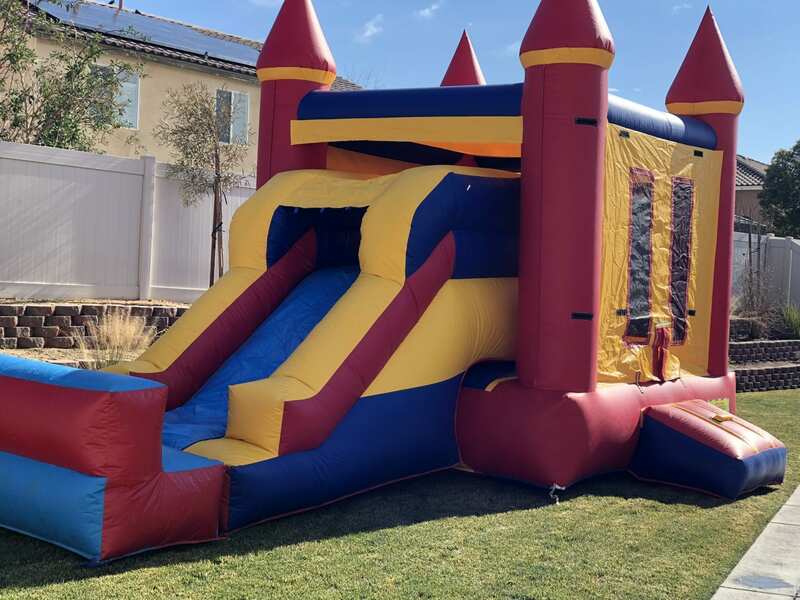 Are you looking to rent party equipment, canopies, jumpers, bounce houses, obstacle course, etc., for a fun time out with family and friends? You have come to the right place. Keep Events is an event company offering supplies for all types of events. We have been in the events field for more than three years now, and have already carved a niche for ourselves in this industry. Our team is experienced in handling various kinds of decorations and general party necessities. Whether you are looking for something fun for a kids’ party or something more elegant for a wedding, graduation or anniversary – we are here to help you out! Keep Events is known for quality products and outstanding customer service. Our company delivers on time and in a professional manner. We even set up your tables, chairs and linen for an additional fee. Keep Events strives to live up to its motto of helping you "make any event your own". Our equipment is always clean and nobody else in the High Desert has the kind of selection we do. You can avail our services easily if you are in or around Victorville, CA High Desert. Our office is open from 8 am to 10 pm. To learn more about our packages and price list, click here.